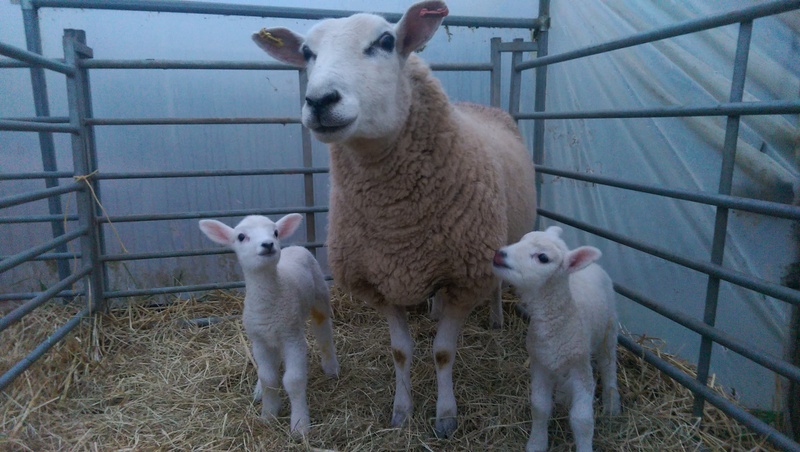 Friday 27th March 2015: One of our Lleyn ewes gave birth to twin ewe lambs this morning. Both lambs were born in half an hour. Our other four ewes are due to lamb just after the Easter holidays.